The best way to predict the future is to create it! Our next session starts very soon. 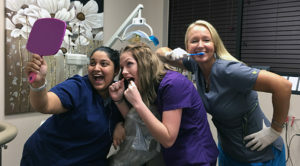 Please reach out to us about our dental assisting class – this school is the first step in finding a great dental assistant job. 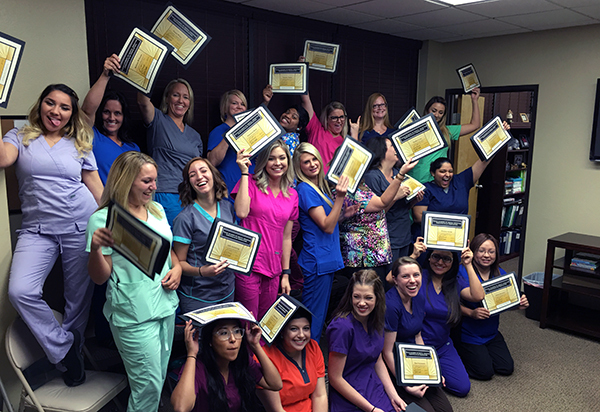 Congrats to our recent session graduates at Texas Academy of Dental Assisting! Good luck in your new career journey. So proud of all of you! Your mind is a powerful thing. When you fill it with positive thoughts your life will start to change! 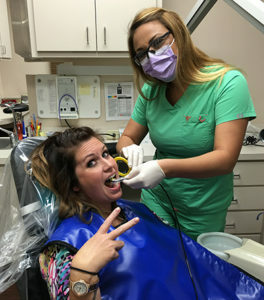 Texas Academy of Dental Assisting wants to acknowledge graduate student Andrea Reed. Andrea was working as a hair stylist and was searching for a career that offered more stability and better hours. Once she graduated and became an RDA she secured a dental assistant job for general dentistry in Fort Worth. Our whole staff is thrilled for Andrea. Congratulations! Are you wanting to start a new career? Shelby Brown came to us wanting just that! She was working as a waitress however, she wanted more. Once she completed our program she was hired by a pediatric dental office. She now works with kids as they learn how to take care of their teeth. She teaches them that being in the dental chair and taking care of your teeth is very important. This education needs to start when their young. Congratulations Shelby for making a difference in young lives. We are very proud of you! Our next dental assistant session starts very soon. If you are interested in becoming a dental assistant — please do not hesitate to reach out to us. How much will the dental school cost for the 12 weeks? Please advise if payment arrangements are acceptable or will the full amount be required.